Tiger Woods is full of belief heading into the Open after his second top-four of the year and is also confident that the R&A will not make the same errors at Carnoustie as its US Open counterparts. 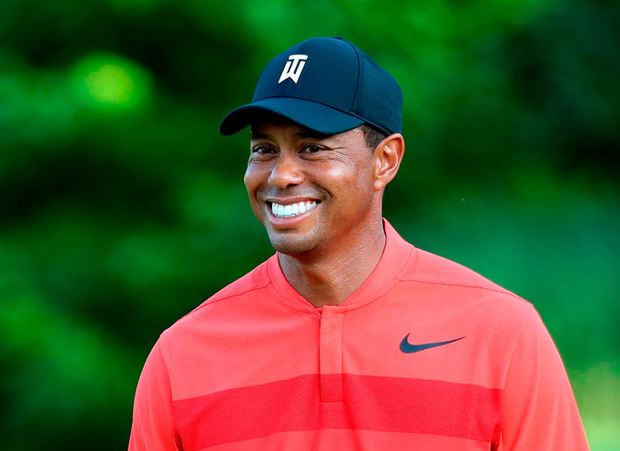 Woods rose to 67th in the world after finishing fourth at the Quicken Loans National and feels he can mount a serious challenge in two weeks. "I've hit the ball well in this stretch, I just haven't made anything," the 42-year-old said. "And I'm starting to make those putts you're supposed to make from 10, 15 feet, but I'm also making some from outside 20. That's a positive sign." Woods knows what is required at the British major and what to work on as he prepares at home in Florida. He was seventh at Carnoustie in 1999, 12th in2007 and also played there as an amateur in the 1995 Scottish Open. "Yeah, my introduction to links golf couldn't have been any better," Woods said. "I played Carnoustie in the Scottish Open and the very next week played I played the British at St Andrews." And in a dig at the United States Golf Association, he added: "One of the neat things about playing the Open Championship is they don't really care what par is. They don't try and manufacture an Open." Meanwhile, Simon Thornton hailed the inaugural Dubai Duty Free Irish Open qualifier as a massive success but confessed that he would still like to see the winner of the domestic Order of Merit awarded an exemption. The former European Tour winner won one of four coveted spots in this week's $7 million Dubai Duty Free Irish Open at Ballyliffin when he claimed the €40,000 qualifier at Rosapenna last Sunday. The Newcastle native (41) beat Old Conna's Neil O'Briain in a play-off for the €6,000 top prize as Glasson's Colm Moriarty came third and Monkstown professional Cian McNamara edged out Waterford's Kevin Phelan in another play-off for the final spot after they tied for fourth. In previous years, the top six finishers on the PGA in Ireland's Order of Merit got to tee it up in the following season's Irish Open. But the advent of the Rolex Series means that all Irish PGA professionals, six amateurs nominated by the GUI and a host of Irish mini-tours regulars got the chance to play for just four spots alongside the superstars in a new 36-hole qualifying event last weekend. Thornton said: "The qualifying has been brilliant. It creates a bit of buzz, a bit of promotion for the Irish Region, and it creates something for Rosapenna."